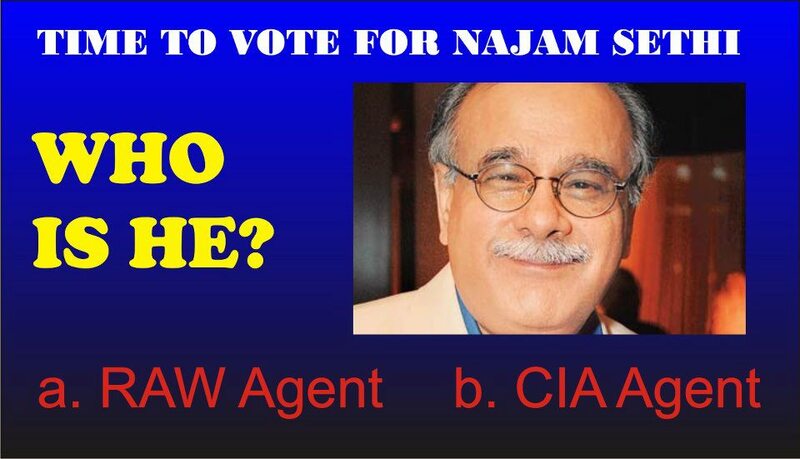 Najam Sethi, whose Top Priority is to Conduct Free & FareElections. Selected by the Parliamentary Committee of the Govt & Opposition Unanimously. The Family Gate scandal seems like a flood gate of scandals, where top power brokers including army, bureaucrats, politicians and media are believed to be heavily involved. 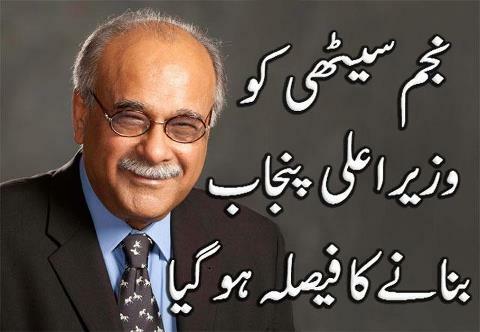 One of the influential players from media community, Najam Sethi is believed to be the part of this flood gate. 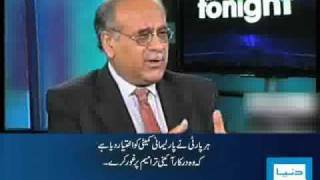 As Dawn TV anchor Talat Hussain recently alleged in this talk show that Najam Sethi’s ‘ChiRya’ (inside information source) is actually Malik Riaz. 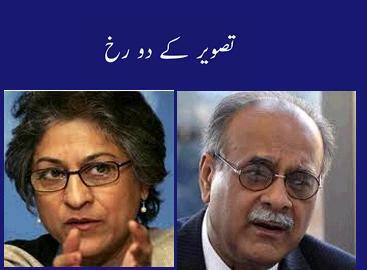 Later Najam Sethi in his talk show criticized Talat and that was replied by Talat in his talk show by declaring all his assets and chanllenging Sethi to do that. 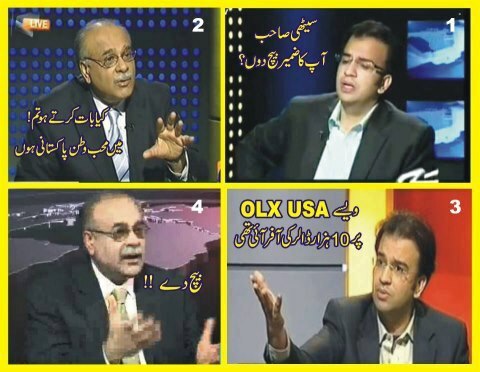 Now as per some documents, Sethi owns properties in US that are likely to be declared or exposed. Some people, through social media , even has alleaged that Sethi recieved all these properties as benfits from his ‘Chirya’ aka Malik Riaz. 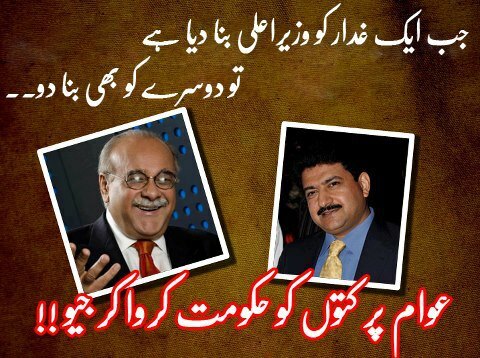 There are also reports that Najam Sethi , as a close aide of Malik Riaz had witnessed all evidence related to scandal against Arsalan Iftikhar and that he is the one who helped Malik Riaz to cut a deal wtth some journalist in Western Media to publish all the evidence and other parts of the story that have not been disclosed in Pakistani media. Flag of the Baloch Liberation Front (BLF) – a left-wing Baloch militant outfit that was one of the leading Baloch separatist guerrilla groups during the Balochistan insurgency in the 1970s. 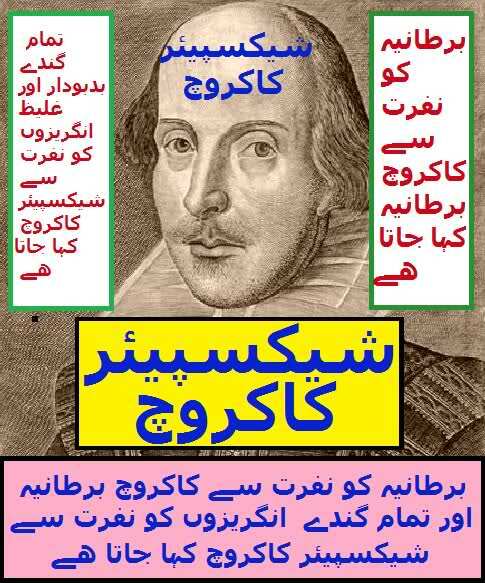 A rudimentary ‘study circle’ was formed in London (in 1969) by some Marxist Pakistani students studying in colleges and universities there. There were about 25 such students in the group who used to meet to discuss various left-wing movements and literature. They also began publishing a magazine called ‘Pakistan Zindabad’ that (in 1971) had to be smuggled into Pakistan because it was highly critical of the Pakistanimilitary’s role in the former East Pakistan. The magazine helped the group to forge a relationship with some Baloch nationalists who invited the group members to travel to Balochistan and help the nationalists set into motion some education related projects. After the loss of East Pakistan in 1971, the populist PPP had formed a new elected government at the centre, whereas the leftist NAP was heading the provincial government in Balochistan. In 1973, the PPP regime accused NAP of fostering a separatist movement in Balochistan and dismissed it. In reaction, hordes of Baloch tr ibesmen picked up arms and triggered a full-fledged guerrilla war against the Pakistan Army. NAP workers gather outside the offices of the party in Quetta soon after the NAP regime in Balochistan was dismissed by Prime Minster Bhutto in 1973. About five members of the London Club decided to quit their studies in London, travel back to Pakistan and join the insurgency on the Baloch nationalists’ side. They were all between the ages of 20 and 25, came from well-off families and none of them were Baloch. Four were from the Punjab province and included Najam Sethi, Ahmed Rashid, and brothers Rashid and Asad Rehman. One was from a Pakistani Hindu family:Dalip Dass. Dass was the son of a senior officer in the Pakistan Air Force. After his schooling in Pakistan, he had joined the Oxford University in the late 1960s where he became a committed Marxist. Dalip Daas (right) chatting with a friend at a Pakistani college. He soon travelled to London to join Oxford University before secretly returning to Pakistan to join the Baloch guerrilla fighters in the mountains of Balochistan. Asad and Rashid Rehman were sons of Justice SA Rehman who had been a close colleague of the founder of Pakistan, Muhammad Ali Jinnah. Najam Sethi came from a well-to-do middle-class family in Lahore and so did Ahmad Rashid whose family hailed from Rawalpindi. All five members had travelled to England to study in prestigious British universities. Initially, they were energised by the left-wing student movements that erupted across the world (including Pakistan) in the late 1960s. When they reached their respective universities in London, they got involved in the student movements there but kept an eye on the developments in Pakistan where a student movement had managed to force out the country’s first military dictator, Ayub Khan (in 1969). The study group honed its knowledge of Marxism, but also began studying revolutionary guerrilla manuals authored by such communist revolutionaries as Che Guevara, Carlos Marighella and Frantz Fanon. When a civil war between the Pakistan Army and Bengali nationalists began in 1971 in former East Pakistan, the group, that originally consisted of about 25 Pakistanistudents studying in England, began to publish a magazine called ‘Pakistan Zindabad’ that severely criticised the role of the Pakistani establishment in East Pakistan. The magazine was smuggled into Pakistan and then distributed in the country by Pakistani left-wing student groups such as the National Students Federation (NSF) that had also led the movement against the Ayub regime. One of the issues of the magazine fell into the hands of some veteran left-wing Baloch nationalist leaders in Balochistan. 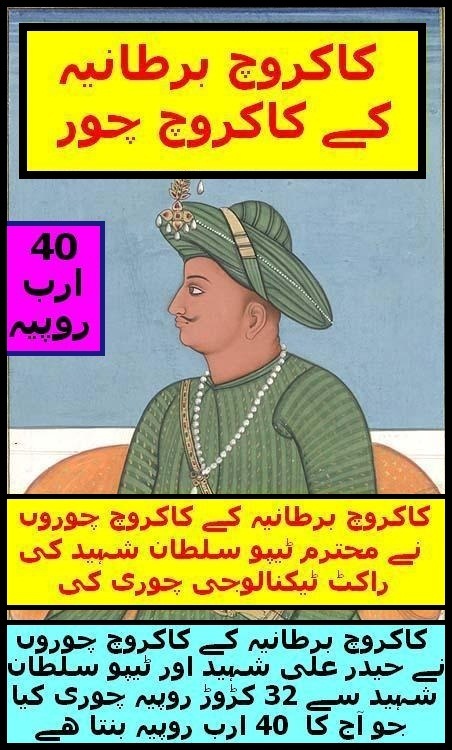 One of them was Sher Muhammad Marri who at once sent Muhammad Babha to London to make contact with the publishers of the magazine. Sher Muhammad Marri (third from left) with Baloch fighters in 1968. Muhammad Babha whose family was settled in Karachi, met the members of the study circle in London and communicated Marri’s invitation to them to visit Balochistan. Seven members of the circle agreed to travel to Balochistan. However, two backed out, leaving just five. All five decided to travel back to Pakistan without telling their families who still thought they were studying in England. The years 1971 and 1972 were spent learning the Baloch language and customs, and handling and usage of weapons – especially by Asad Rehman, Ahmad Rashid and Dalip Dass who would eventually join the Baloch resistance fighters in the mountains once the insurgency began in 1973. 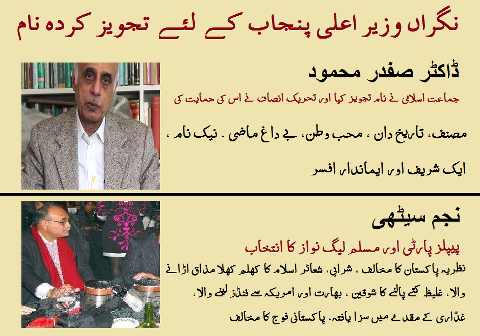 Najam Sethi and Rashid Rehman stationed themselves in Karachi to secretly raise funds for the armed movement. Each one of them believed that the government’s move against the NAP regime was akin to the establishment’s attitude towards the Bengalis of the former EastPakistan (that broke away in 1971 to become the independent Bengali state of Bangladesh). The young men’s parents all thought their sons were in London, studying. It was only in 1974 when the government revealed their names that the parents came to know. The three men in the mountains took active part in the conflict, facing an army that used heavy weaponry and helicopters that were supplied by the Shah of Iran and piloted by Iranian pilots. 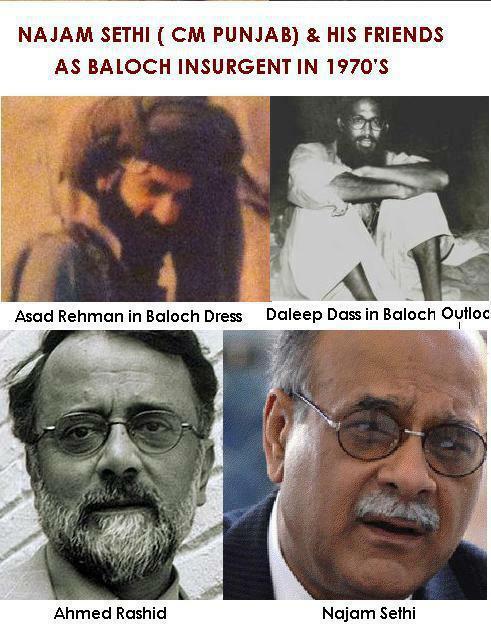 All three had also changed their look to suit the attire and appearance of their Baloch comrades. Asad Rehman tracking the mountains of Balochistan with his group of Baloch fighters in 1974. First to fall was the 23-year-old Dalip Daas. In 1974, while being driven in a jeep with a Baloch comrade and a sympathetic Kurd driver into the neighbouring Sindh province for a meeting with a Sindhi nationalist, the jeep was stopped at a military check-post on the Balochistan-Sindh border. Daas=0 and his Baloch comrade were asked to stay while the driver was allowed to go. Many believe the driver was an informant of the military. 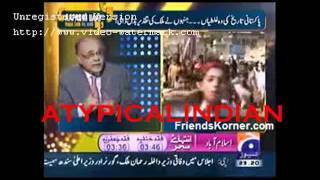 Daas was taken in by the military and shifted to interrogation cells in Quetta and then the interior Sindh. There he was tortured and must have died because he was never seen again. He vanished. A tra nsformed Dalip Daas just before his arrest, torture and death. 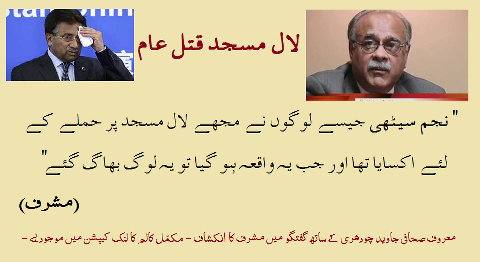 After Daas’ disappearance, Rashid Rehman who was operating with Najam Sethi in Karachi went deeper underground. In 1976, the 28-year-old Sethi’s cover was blown and he was picked up by the military and thrown into solitary confinement. More than 5,000 Baloch men and women lost their lives in the war that ended when the PPP regime was toppled in a reactionary military coup in 1977. Asad and Rashid Rehman remained underground till 1978 before departing for Kabul and then to London. 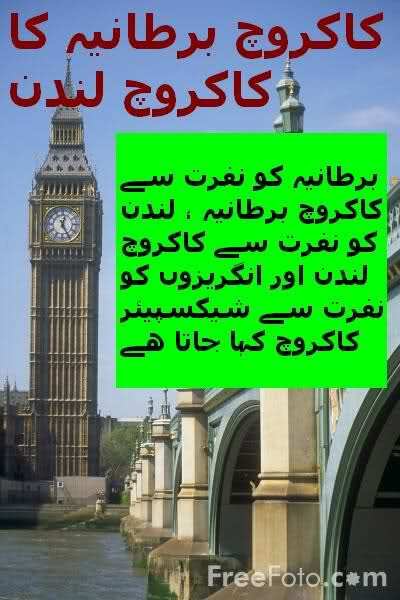 Ahmed Rashid also escaped to London. Asad returned to Pakistan in 1980 before going back, this time to escape the right-wing dictatorship of Ziaul Haq. He again returned to the country and became a passionate human rights activist and continued speaking for the rights of the Baloch till his death in 2013. Asad Rehman in 2012. He passed away in 2013. 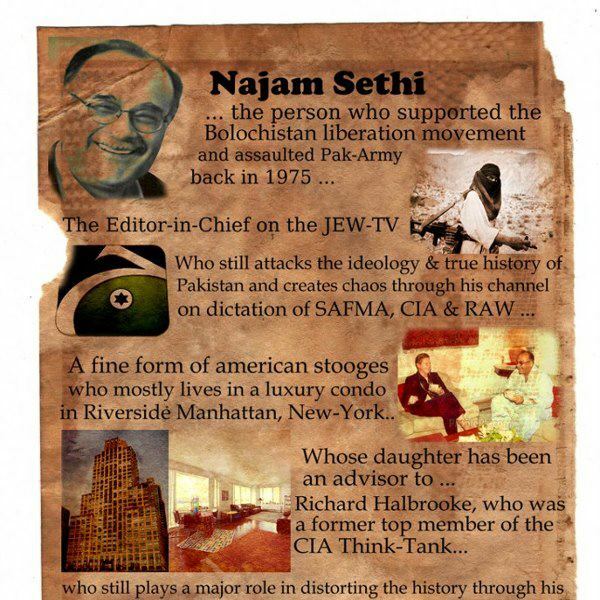 After his release in 1978, Najam Sethi became a successful publisher and progressive journalist. Today he is also known as a celebrated political analyst and a popular TV personality. 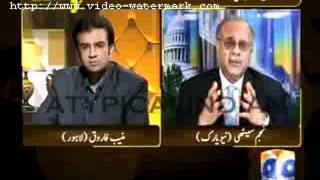 Najam Sethi in 2012. Today he is one of the leading liberal voices and political analysts on mainstream TV in Pakistan. Ahmad Rashid travelled to England, became a journalist and then a highly respected and best-selling political author and expert on the politics of Afghanistan andPakistan. Rashid Rehman returned to Pakistan from London and became a leading journalist and editor. Rashid Rehman (second from left) in conversation with British author William Dalrymple (right) in 2012. The conflict in Balochistan continues. of our country to save our beloved country. 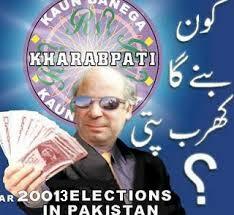 Geo Tv and start his new show Khabarnaak. A record of payments allegedly made to 19 senior-journalists of Pakistan, by the Bahria Town owner Malik Riaz has surfaced on the social networking site Twitter, Aaj News reported. Renowned names of various news television anchors and journalists like Dr. Shahid Masood, Najam Sethi, Kamran Khan, Nusrat Javed, Meher Bokhari, Mubasher Lucman, Hamid Mir, Javed Chaudhry, Sana Bucha, Sohail Waraich and Asma Shirazi among a few others, are present in the lists below. An account of favors given to these journalists in shapes of money, cars and property etc is recorded in these trademarked letterheads of Bahria To wn. An account of favors given to these journalists in shapes of money, cars and property etc is recorded in these trademarked letterheads of Bahria Town. 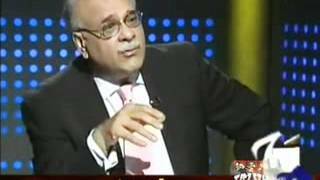 Muneeb Farooq and Najam Sethi presents Aapas ki baat Aug 2011 – Part 1.
truth about kashmir by najam sethi. 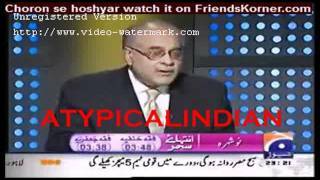 Mr. Najam Sethi reveals the real history behind the rivalry of India and Pakistan. On this YouTube channel old classic videos of Pakistan will be uploaded here. Indian electoral system by Mr M.S.GiLL. 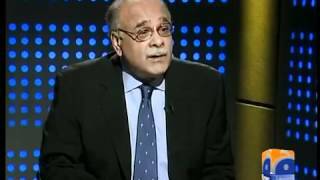 Kargil War : In the eyes of an eminent Pakistani Journalist, By Mr. Najam Sethi. Punjab, with Lahore as its bustling capital, contains half of Pakistan’s population. The provincial government is in the hands of the conservative, mildly Islamist party of a former prime minister, Nawaz Sharif. 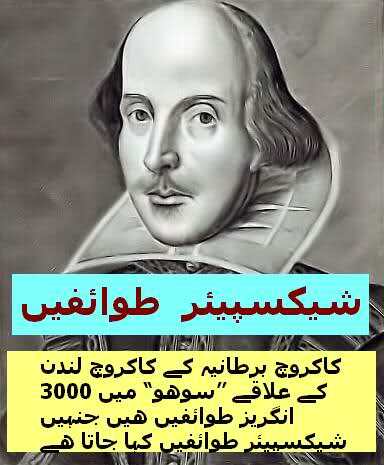 In a speech in March his brother, Shahbaz Sharif, who is chief minister, pleaded with the Taliban to leave Punjab alone as his administration shared their ideology of keeping out “foreign dictation” (ie, Americans). Officials bristle at comparisons between Punjab, which is moderately well run, and the lawless tribal areas. It is correct to say that there has been no territorial takeover by extremists in any part of the province, nor any enforcement of Islamic law. 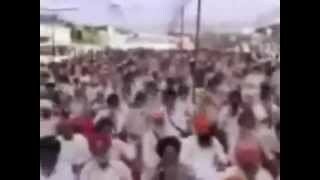 However, Punjab functions as an ideological nursery and recruiting ground for militants throughout the country. Distinctions between the Taliban in the north-west and older jihadi groups in Punjab have broken down. The federal government says Punjabi groups have been responsible for most of the big terrorist attacks in the province. Punjab’s minister of law, Rana Sanaullah, went on the campaign trail in February with the reputed head of Sipah-e-Sahaba, for a by-election in the southern town of Jhang. The two rode through the streets in an open-top vehicle. The minister says that he was just trying to bring the group into the mainstream. Jhang is Sipah-e-Sahaba’s headquarters; the group makes little effort to hide its presence there. In a country of 175 million, replete with some 15 million politico-religious extremists, opportunities for a positive geopolitical paradigm shifts are rare. Punjab’s Chief Minister Shahbaz Sharif, brother of Pakistan’s principal opposition figure Nawaz Sharif, tried to wreck this one by suggesting Taliban work out a “separate peace” with Punjab province. 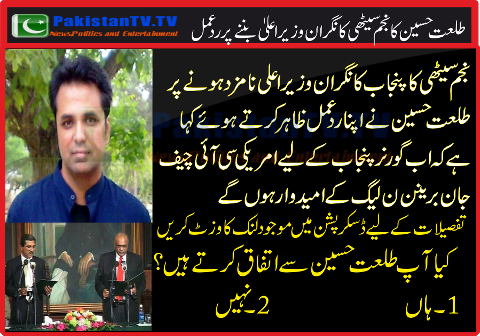 “Cease targeting Punjab,” he said and focus on the other three provinces. Mercifully, there was a nationwide outcry against the wacky suggestion. Kayani summoned him and upbraided him in language he won’t soon forget. But this didn’t deter Nawaz Sharif from bragging about his “old friendship” with Osama bin Laden. LAHORE: Former Inter-Services Intelligence (ISI) official Khalid Khawaja has claimed that he arranged five meetings in the past between former prime minister Nawaz Sharif and al Qaeda chief Osama Bin Laden on separate occasions. In a recent interview with a private TV channel, Khawaja said Nawaz asked the al Qaeda chief to provide financial support for “development projects”. The former ISI official also claimed that Nawaz had met leaders of Islamic movements around the world. Khawaja said following a “forced retirement”, he went straight to Afghanistan in 1987 and fought against the Soviet forces alongside Osama. Former ISI chief Khalid Khwaja has confessed on various occasions to playing the role of a mediator for several meetings between Mr. Nawaz Sharif and Osama Bin Laden. 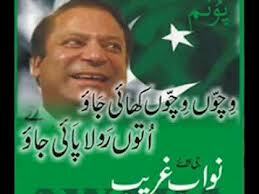 On September 8th 2009 he again mentioned this on Ary News channel’s show 11th Hour. Hamid Gul, Nawaz Sharif, and Osama bin Laden conspire to assassinate Pakistani Prime Minister Benazir Bhutto. Husein Haqqani, a Pakistani journalist who claims to have been involved in the plot, will later say that ISI Director Hamid Gul contacted Osama bin Laden, who was then known to provide financial support to Afghan mujaheddin, to pay for a coup/assassination of Bhutto. Gul also brings Nawaz Sharif, then the governor of Punjab province and a rival of Bhutto, into the plot. Bin Laden agrees to provide $10 million on the condition that Sharif transforms Pakistan into a strict Islamic state, which Sharif accepts. [LEVY AND SCOTT-CLARK, 2007, PP. 193-194] Bhutto is not assassinated at this time, but bin Laden allegedly helps Sharif replace Bhutto one year later (see October 1990). Sounding like a man hoping for a political comeback, former President Gen (r) Pervez Musharraf has said that he would return back to Pakistan if the people wanted him and if he believed he had enough support to make a contribution. “If I have to just go there and join a political fray and be involved in accusations and counter-accusations … like most of the politicians are doing,” Musharraf said at news conference in Seattle on Sunday, adding, “I am not interested in that kind of politics.”Later, addressing an audience of several hundred largely Pakistani Americans in Bellevue, Musharraf termed Nawaz Sharif as ‘closet Taliban’, saying he would cause destruction of the country. 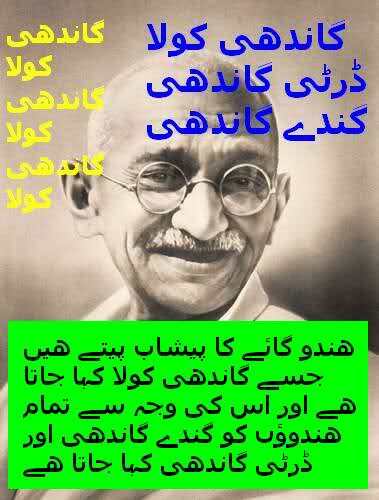 But he denied the charges that corruption has make its way into the rank and file of Pak Army. The Friends of Pakistan First sponsored Musharraf’s visit to Washington, and after the speech he answered wide-ranging questions on economy, India, feudalism and other topics. He also was asked about recent terrorist attacks that killed World Vision workers in Mansehra, to which he replied that the aid organisation should show resolve and not withdraw from Pakistan. The visit came at a time when the Pakistani press has been speculating on whether he has a future political role in the country. In December, a Pakistan Muslim League leader, Sher Afgan Nizai, had said his party would welcome the former president’s return, which was likely to happen this winter. 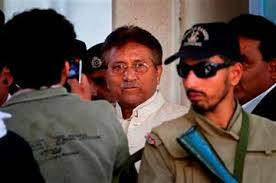 But later, an aide said Musharraf had no plans either to return or to rejoin the political fray. Musharraf, in his remarks at the news conference, boosted his governance. He called Pakistan a ‘failed state’ that was defaulting on debts when he came to power in 1999, and said he was able to increase freedom of the press, improve rights of minorities and stabilise the economy. During his evening remarks, Musharraf said he lacked one thing – legitimacy domestically and internationally. He conceded he was labelled a dictator. He also spoke about the tense relationship between Pakistan and India. At the news conference, Musharraf denied that Pakistan had supported terrorist activities in India, which he accused of ‘hyper reactions’ after the Mumbai attacks. He accused India of supporting terrorism in Pakistan, including Balochistan province. Meanwhile, his visit prompted more than 70 protesters to gather early Sunday evening on a sidewalk outside the Westin Hotel in Bellevue where he spoke. One sign read “Dictator Not Welcome,” while others read, “Stand for Peace” and “Mister Commando is on the Run”. KARACHI: While constantly pleading with expatriate Pakistanis to send their hard-earned dollars to their motherland, former prime minister Nawaz Sharif caused a dent of at least Rs 110 crore to the national exchequer through the 28 foreign trips he undertook after assuming power on February 17, 1997. Official documents seen by the News Intelligence Unit (NIU) disclosed that about Rs 15 crore were spent from the tax-payers money for Nawaz Sharif’s six Umra trips. For almost each of his foreign visits, Nawaz Sharif used his special Boeing plane that he had promised to return to PIA for commercial use in his famous national agenda speech in June last year. Almost unbelievably, instead of keeping his promise to return this special aircraft to PIA, Sharif ordered an extravagant US$1.8 million renovation of his aircraft that turned the Boeing into an airborne palace. While reading sermons on austerity to the nation on almost every domestic tour, on this aircraft — on which all the seats were in a first class configuration — Nawaz Sharif and his entourage would always be served a specially-cooked, seven-course meal. PIA’s former chairman Shahid Khaqan Abbasi had, in fact, hired a cook who was familiar with Sharif’s craze for a special type of ‘Gajrela’ (carrot dessert). While aboard his special plane, Sharif was always served ‘Lassi’ or Badami milk in a Mughal style silver glass by a crew of his choice. Even on domestic flights, Sharif and his men would be served with Perrier water, not available even to first class domestic passengers. The towels he would use on board, had golden embroidery. Not for a moment, after making his historic promise to the nation in June last year for leaving the palatial prime minister house for a modest residence in Islamabad, did Nawaz Sharif show any intention to leave the prime minister’s palace. On the contrary, soon after that speech, the Prime Minister House received fresh supplies of imported crockery and groceries. Some of the permanent in-house residents were Sharif’s personal friends, including one Sajjad Shah who used to crack jokes and play songs for him. Sharif’s little-known political mentor Hasan Pirzada, who died last month, always lived at the Prime Minister House. 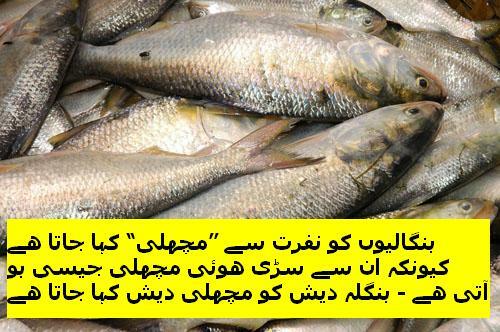 Sources estimate that Pirzada’s daily guest-list to the PM House numbered around 100 people who were always served with meals or snacks. In the first year of Nawaz Sharif’s second term in power, Hamid Asghar Kidwai of Mehran bank fame, lived and operated from the Prime Minister House until he was appointed Pakistan’s ambassador to Kenya. While making unending promises of instituting merit in all appointments and selections, Sharif played havoc with the system while issuing personal directives by ordering 30 direct appointments of officers in the Federal Investigation Agency (FIA). While Sharif was ordering these unprecedented direct appointments, his crony Saifur Rahman was seeking strict punishment and disqualification of former prime minister Benazir Bhutto for making direct appointments in Pakistan International Airlines. Out of these 30 people who were directly appointed on posts ranging from deputy director to inspector in the FIA — without interviews, examination or training — 28 were from Lahore and were all close to the Sharif family or his government. One of the lucky inductees was a nephew of President Rafiq Tarar. Nawaz Sharif had such an incredible liking for his friends from Lahore or Central Punjab, that not a single non-Central Punjabi was included in his close circle, both at the political or administrative levels in the Prime Minister’s Office. 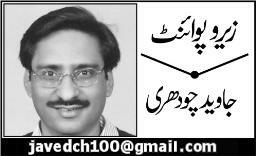 At one point, during his tenure, there was not a single Sindhi-speaking active federal secretary in Islamabad. For about the first 18 months of Sharif’s second term in office, 41 of the most important appointments in Pakistan were in the hands of individuals who were either from Lahore or Central Punjab, despite the total lack of representation of smaller provinces in State affairs. Sharif stunned even his cabinet by choosing Rafiq Tarar for the post of President. His activities were almost totally Lahore or Punjab focussed, reflected by the fact that in the first 16 months of power, he had only one overnight stay in Karachi. Conversely, he held an open Kutchery on every Sunday in Lahore, a gesture he never showed in any of the smaller provinces. Nawaz Sharif, who had always promised a ‘small government’ ended up with no less than 48 people with the status of a federal minister in his cabinet. Ironically, less than fifteen per cent of the people in 49-member cabinet came from the three smaller provinces. While anti-corruption rhetoric always topped his public speeches, Nawaz Sharif demonstrated tremendous tolerance for corruption as he completely ignored strong evidence laden corruption reports against Liaquat Ali Jatoi and his aides in Karachi. Sources said that volumes of documents on the corruption of Liaquat Ali Jatoi, his brother Senator Sadaqat Ali Jatoi, the then Sindh health secretary and several of Liaquat’s personal staff members were placed before Nawaz Sharif, but he never ordered any action. These sources said that Nawaz Sharif also ignored evidence that showed Liaquat’s newly discovered business interests in Dubai and London. Informed official sources said that Nawaz Sharif also ignored reports, even those produced by Shahbaz Sharif, about rampant corruption in the Ehtesab Cell (EC). Shahbaz Sharif and several other cabinet ministers had informed Sharif that Khalid Aziz and Wasim Afzal, Saifur Rahman’s right-hand men in the EC were involved in institutionalised corruption through extortion from Ehtesab victims and manipulation of the Intelligence Bureau’s secret funds. Sources said that the Ehtesab Cell had issued official departmental cards to one Sarfraz Merchant, involved in several cases of bootlegging and another to Mumtaz Burney, a multi-billionaire former police official who had earlier been sacked from the service for being hand in glove with a notorious drug baron. Sharif was told that these two notorious individuals were serving as middle men between Khalid Aziz, Wasim Afzal and those sought by the EC both here and abroad. Fully aware that Khawer Zaman and Major General Enayet Niazi were amongst the most honest and upright director generals of the FIA, he booted them out only to be replaced by handpicked cronies such as Major (Retd) Mohammad Mushtaq. Sources said that while posting Rana Maqbool Ahmed as the Inspector General Police, Sindh, Nawaz Sharif was reminded by his younger brother Shahbaz Sharif about his reputation as one of the most corrupt Punjab police officers and also about his shady past. But Nawaz Sharif not only installed Rana as the IGP, but also acted on his advice to remove Gen. Moinuddin Haider as the Governor Sindh. In a startling paradox, right at the time when the government media campaign was at its peak about the properties of Benazir Bhutto and Asif Ali Zardari in Britain, particularly Rockwood estate in Surrey, disclosures came to light about the Sharif family’s multi-million pound apartments in London’s posh district of Mayfair. The apartment No: 16, 16a, 17 and 17a that form the third floor of the Avonfield House in Mayfair is the residential base for Sharif family in London. Records show that all those four apartments were in the name Nescoll Ltd and Nielson Ltd Ansbacher (BVI) Ltd, the two off-shore companies managed by Hans Rudolf Wegmuller of Banque Paribas en Suisse and Urs Specker — the two Swiss nationals alleged to be linked with Sharif’s offshore fortune. In a knee-jerk reaction last year, Sharif first denied the ownership of those flats. Later, his younger son Hasan Nawaz Sharif said the family had leased only two of the flats, while their spokesmen, including former law minister Khalid Anwer, said that Sharif had actually rented those flats. But what will count with legal experts is the fact that in their tax returns, none of the Sharif family members had ever showed any foreign ownership of any properties, nor had their tax returns listed payments for any rented apartments abroad. 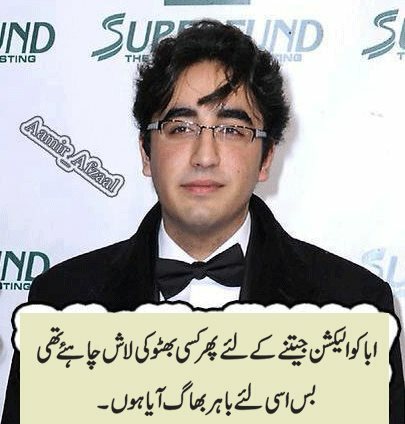 “With the sale of these Mayfair apartments, you can buy three Rockwood-size properties of Asif Zardari,” commented a source, who added that Sharif’s third party owned properties in Britain may land them in a crisis comparable only with Benazir and Zardari’s cases abroad. In another example of hypocrisy, while Sharif geared up his government’s campaign against loan defaulters in Pakistan, a High Court in London declared his family a defaulter and ordered them to pay US$ 18.8 million to Al-Towfeek Company and its subsidiary Al-Baraka Islamic Bank as payment for interest and loan they had borrowed for Hudabiya Papers Limited. The court papers said that the Sharifs refused to make payments on the principle amount and instead directed official action against the Arab company’s business interests in Pakistan. Informed sources said that a few days before the fall of the Nawaz Sharif government on October 12, lawyers representing the Sharif family were busy in hectic behind-the-scenes negotiations with Al-Towfeek executives in London for an out-of-court settlement. These sources said that negotiations in London broke down soon after the army action in Islamabad. While Nawaz Sharif deployed the entire state machinery and spent millions of dollars from the IB’s secret fund to prove money-laundering charges against Benazir Bhutto and her husband abroad, his government crushed any attempt by the FIA to move the Supreme Court of Pakistan against a decision handed down by the Lahore High Court absolving the Sharif family from money-laundering charges instituted against them by the last PPP government. FIA officials who had investigated the money-laundering charges against the Sharifs faced termination from service, while the agency was told that even a decision to probe money-laundering was a crime. This particular case is likely to now go to the Supreme Court in the next few weeks. At the center of every atom lies its nucleus, a tiny collection of particles called protons and neutrons. In this article we’ll explore the nature of those protons and neutrons, which are made from yet smaller particles, called quarks, gluons, and anti-quarks (the anti-particles of quarks.) (Gluons, like photons, are their own anti-particles). Quarks and gluons, for all we know today, may be truly elementary (i.e. indivisible and not made from anything smaller). But we’ll return to them later. 0.93957 GeV/c2 for a neutron. This is a clue to their nature: for they are, indeed, very similar. Yes, there’s one obvious difference between them — the proton has positive electric charge, while the neutron has no electric charge (i.e., is `neutral’, hence its name). Consequently the former is affected by electric forces while the latter is not. At first glance this difference seems like a very big deal! But it’s actually rather minor. In all other ways, a proton and neutron are almost twins. Not only their masses but also their internal structures are almost identical. Because they are so similar, and because they are the particles out of which nuclei are made, protons and neutrons are often collectively called “nucleons”. Protons were identified and characterized around 1920 (though they were discovered earlier; the nucleus of a hydrogen atom is simply a single proton) and neutrons were discovered around 1933. 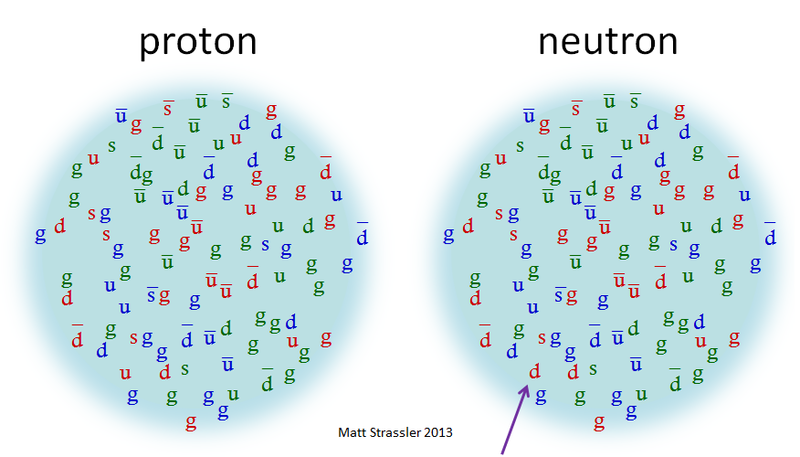 The fact that protons and neutrons are very similar was understood almost immediately. But the fact that protons and neutrons have a measurable size, comparable in size to a nucleus (about 100,000 times smaller in radius than a typical atom), wasn’t learned til 1954. That they are made from quarks, anti-quarks and gluons was gradually understood in a period lasting from the mid-1960s to the mid-1970s. By the late 1970s and early 1980s, our understanding of protons and neutrons and what they are made of had largely stabilized, and has remained essentially unchanged since then. It is much more difficult to describe nucleons than it is to describe atoms or nuclei. That’s not to say that atoms are altogether simple (you can read about my attempts here, which are made complicated by the subtleties of quantum mechanics) but at least one can say, without too much hesitation, that a helium atom is made from two electrons orbiting a tiny helium nucleus; and a helium nucleus is a relatively simple cluster of two neutrons and two protons. But a nucleon? Here things are not so easy. As I wrote elsewhere in my article “What’s a proton, anyway?” — useful reading for anyone who wants to understand the Large Hadron Collider [LHC] — an atom is like an elegant minuet, whereas a nucleon is like a wild dance party. sometimes it is impossible to describe complicated solutions in a simple way. As far as we can tell, that is the situation with nucleons: they are complicated solutions to the relatively simple equations of QCD, and there seems to be no way to describe them in a few words or pictures. Because of the inherent complexity of nucleons, you, the reader, will have to make a choice at this point: how much of this complexity would you like to learn about? No matter how far you go, you will probably not be entirely satisfied; for although the answers to your questions may well become more enlightening as you learn more, the ultimate answer remains that the proton and neutron are complicated. So all I can offer you now is three layers of understanding, in increasing detail; you can choose to stop after any layer and move on to other subjects, or you can keep going to the last layer. Each layer begs questions that I can partially answer in the next layer, but the answers provided beg further questions. In the end — just as I do in professional conversations with my colleagues and advanced students — I can only appeal to data from real experiments, various powerful theoretical arguments, and the computer simulations I mentioned. What are protons and neutrons made of? To try to make things easy, many books, articles and websites will tell you that protons are made from three quarks (two up quarks and a down quark) and draw a picture like the one shown in Figure 1. The neutron is the same, but with one up quark and two down quarks, as also shown in Figure 1. This simple picture represents what some (but not all) scientists first believed protons and neutrons were, mainly in the 1960s. But this view was soon realized to be a significant oversimplification… to the point that it really is not correct. More sophisticated sources of information will tell you that protons are made from three quarks (two up quarks and a down quark) that are held together with gluons — and they might draw the picture something like that shown in Figure 2, with gluons drawn like springs or strings holding the quarks together. 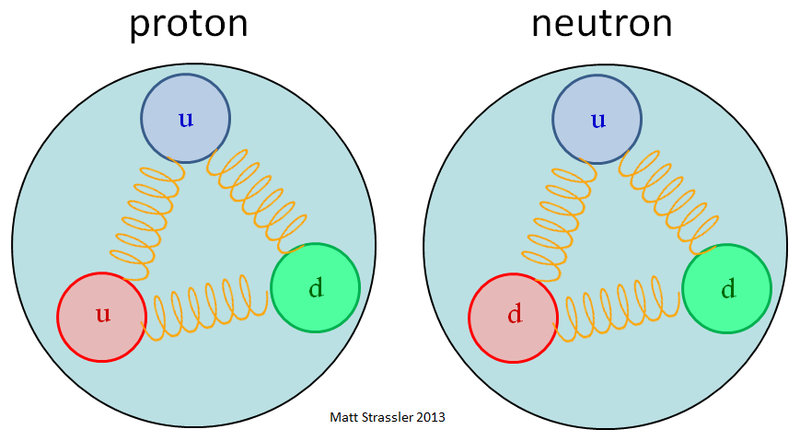 Neutrons are again the same but with one up quark and two down quarks. This is not quite as bad a way to describe nucleons, because it emphasizes the important role of the strong nuclear force, whose associated particle is the gluon (in the same way that the particle associated with the electromagnetic force is the photon, the particle from which light is made.) But it is also intrinsically confusing, partly because it doesn’t really reflect what gluons are or what they do. So there are reasons to go further and describe things as I have elsewhere on this website: a proton is made from three quarks (two up quarks and a down quark), lots of gluons, and lots of quark-antiquark pairs (mostly up quarks and down quarks, but also even a few strange quarks); they are all flying around at very high speed (approaching or at the speed of light); and the whole collection is held together by the strong nuclear force. I’ve illustrated this with Figure 3. 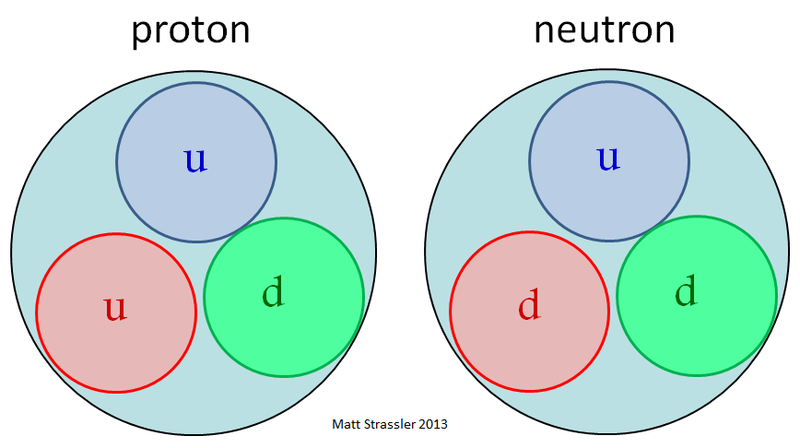 Again, neutrons are the same but with one up quark and two down quarks; the quark whose identity has been changed is marked with a violet arrow. Not only are these quarks, anti-quarks and gluons whizzing around, but they are constantly colliding with each other and converting one to another, via processes such as particle-antiparticle annihilation (in which a quark plus an anti-quark of the same type converts to two gluons, or vice versa) and gluon absorption or emission (in which a quark and gluon may collide and a quark and two gluons may emerge, or vice versa). Let’s look at what all three descriptions have in common. one up quark and two down quarks (plus other stuff) for the neutron. the total electric charge of the neutron is 2/3 e – 1/3 e – 1/3 e = zero. Figure 1 would have you believe that quarks are basically one third of a nucleon, somewhat the way a proton or a neutron represents one quarter of a helium nucleus or one twelfth of a carbon nucleus. Were this picture right, the quarks in a nucleon would move around relatively slowly (at speeds much slower than the speed of light) with relatively weak forces between them (though with some kind of powerful force keeping them from escaping). The mass of an up quark, and that of a down quark, would be about 0.3 GeV/c2, about one third of the mass of a proton. But this simple picture, and the ideas that go with it, just isn’t correct. Figure 3 (I’ll come back to Figure 2) gives an entirely different view of a proton, as a seething cauldron of particles rushing around at speeds approaching the speed of light. These particles are colliding with one another; in these collisions, some of those particles are annihilated, while others are created in their place. The gluons are massless particles, while up quarks have masses about 0.004 GeV/c2 and down quarks have masses about 0.008 GeV/c2 — hundreds of times smaller than the mass of the proton. Where the proton’s mass-energy comes from is complicated: some of it is from the mass-energy of the quarks and anti-quarks, some of it is from the motion-energy of the quarks, anti-quarks and gluons, and some of it (possibly positive, possibly negative) is from the energy stored in the strong nuclear forces that are needed to hold the quarks, anti-quarks and gluons together to form the proton. In a sense, Figure 2 tries to split the difference between Figure 1 and Figure 3. It simplifies Figure 3 by removing the many quark-antiquark pairs, which one might argue are ephemeral, as they constantly appear and disappear, and are not essential. But it tends to give the impression that the gluons found in a nucleon are directly part of the strong nuclear force that holds the proton together. And it doesn’t really make very clear where the mass of the proton comes from. Figure 1 has another flaw, when we look beyond the narrow confines of the proton and neutron. It is not so good for explaining some of the properties of other hadrons, like the pion and the rho meson. Figure 2 shares some of these problems. These limitations of Figures 1 and 2 are the reason that I choose to convey, both to my students and here on this website, the image shown in Figure 3. But I must warn you already that there are many limitations to the picture, too, which I’ll get into in later layers. Still, it is worth noting that the extreme internal complexity implied by Figure 3 is to be expected for an object held together with a force as strong as the strong nuclear force. If you want to know why, you can read on in the second layer of detail… after we discuss the mass of the proton and neutron. One more comment: the three quarks (two ups and a down for a proton) that aren’t a part of a quark/anti-quark pair are often referred to as “valence quarks”, with the pairs of quarks and anti-quarks called “sea quarks”. This language is technically very useful in many contexts. But it gives the false impression that if you somehow could look inside a proton, and you looked at a particular quark, you could quickly identify whether it was a sea quark or a valence quark. You can’t do that; there’s no way to tell. Since the proton and neutron masses are so similar, and since the proton and neutron differ only by the replacement of an up quark with a down quark, it seems likely that their masses arise in the same way, from the same source, with the difference in their masses due to a some minor difference between up quarks and down quarks. But the three figures above suggest three very different views of where the proton mass comes from. Figure 1 would suggest that the up and down quarks are simply 1/3 of the mass of the proton and of the neutron: about 0.313 GeV/c2, or maybe a bit more or less due to the energy needed to hold the quarks together in the proton. And since the difference between the proton and neutron masses is just a fraction of a percent, the difference between the up and down quark mass should also be a fraction of a percent. Figure 2 is a bit less clear. What fraction of the proton’s mass comes from the gluons? But certainly one would gather from the picture that much of the proton’s mass comes from the quarks’ masses, as in Figure 1. But Figure 3 reflects the more subtle way in which the proton’s mass actually comes about (as we can check directly using computer calculations of the proton, and indirectly using other mathematical methods). It is very different from what is suggested in Figure 1 and 2, and not so simple. To understand how this works, one should think first not in terms of the mass m of the proton but in terms of its mass-energy E = mc2, the energy associated to its mass. The right conceptual question to ask is not “where does the proton’s mass m come from”, after which you calculate its mass-energy E by multiplying m by c2, but rather the reverse: ask “where does the proton’s mass-energy E come from”, and then calculate the mass m by dividing E by c2. Figure 3 suggests that (B) and (C) are important, with limited impact from (A). And we know that Figure 3 is essentially right. That’s because we can do computer simulations to check it, and because (most importantly!) we know, from various powerful arguments that theorists have developed, that if the up and down quark masses were zero (and everything else was left unchanged), the proton mass would barely change from what we observe it to be. So it would appear that the masses of the quarks can’t be important contributors to the mass of the proton. If Figure 3 is right, the quark and anti-quark masses are rather small. How small are they really? The up quark mass (same as the mass of the anti-quark) is at most 0.005 GeV/c2, far, far smaller than the 0.313 GeV/c2 suggested by Figure 1. (The up quark mass is hard to measure and its apparent value is shifted by subtle effects, so in fact it might be much smaller than 0.005 GeV/c2.) And the down quark mass is about 0.004 GeV/c2 larger than the up quark mass. That means the mass of any quark or antiquark is less than a percent of the proton’s mass. Notice also that (in contrast to what Figure 1 would imply) this means that the ratio of the down quark mass to the up quark mass is not close to one! In fact the down quark mass is roughly double the mass of the up quark, or more. The reason that the neutron and proton masses are so similar is not that the up and down quark masses are similar, but that the up and down quark masses are both very small — the difference between them is small relative to the proton and neutron masses. And remember that to turn a proton into a neutron you merely have to replace one of its up quarks by a down quark (Figure 3); that replacement is enough to make the neutron slightly heavier than a proton, and shift its electric charge from +e to zero. By the way, the fact that the various particles inside the proton are colliding with each other, appearing and disappearing in the process, doesn’t affect this discussion — because in every such collision, energy is conserved (i.e. the amount of it is unchanged). The mass-energy and motion-energy of the quarks and gluons may change, and their overall interaction-energy may change, but the total energy of the proton doesn’t change, even though the stuff inside is continually rearranged. So the proton’s mass is constant, despite the maelstrom within. 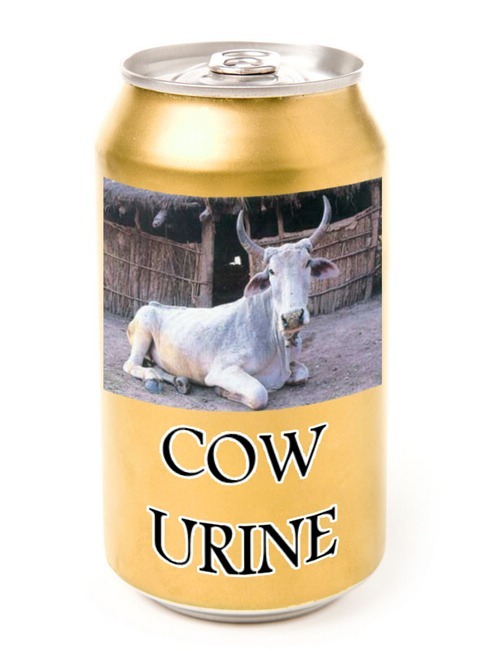 Ok. It’s important to take a moment to drink this all in. How remarkable is this! Almost all mass found in the ordinary matter around us is that of the nucleons within atoms. And most of that mass comes from the chaos intrinsic to a proton or neutron — from the motion-energy of a nucleon’s quarks, gluons and anti-quarks, and from the interaction-energy of the strong nuclear forces that hold a nucleon intact. Yes: our planet, our bodies and our breath are what they are as a result of a silent, and until recently unimaginable, internal pandemonium. ISLAMABAD — Pakistan’s caretaker government told the Supreme Court on Monday it will not file treason charges against former military ruler Pervez Musharraf but will leave the decision on that to the winner of the upcoming election. The petitions before the Supreme Court alleging Musharraf committed treason while in power constitute just one of several legal challenges he is facing following his recent return to Pakistan from self-imposed exile. The former military strongman was placed under house arrest over the weekend in connection with a different case, which involves his decision to fire senior judges while in power. Musharraf’s detention was the latest in an array of setbacks he has faced since returning home last month with hopes of making a political comeback. Lawyers have filed private petitions before the Supreme Court alleging Musharraf committed various treasonable offenses, including toppling a civilian government, suspending the constitution and declaring a state of emergency. But according to Pakistan’s constitution, the government is the only one with authority to file treason charges against Musharraf. Attorney General Irfan Qadir submitted a statement to the Supreme Court on Monday, saying caretaker officials have decided not to file treason charges because it was not part of their mandate. The caretaker government should avoid controversial matters that are not reversible by the winner of the May 11 parliamentary election, Qadir said. Instead, he added, caretaker officials are focused on routine matters, such as ensuring security for the upcoming election. However, Law Minister Ahmer Bilal Soofi indicated that caretaker officials would not defy the Supreme Court if the judges ordered the government to act. The interim government took over last month and will hold power until a new government is formed after the vote. At this point, it’s unclear how the next government will choose to proceed in the case of treason charges against Musharraf. The front runner to become the next prime minister is Nawaz Sharif, who was toppled by Musharraf in a military coup when he was serving as premier in 1999. Musharraf held power for nearly a decade until he was forced to step down in 2008 because of growing discontent with his rule. He returned despite Taliban death threats and an array of legal challenges. But upon his homecoming, Musharraf encountered paltry levels of public support and was disqualified to run in the upcoming election because of his actions while in office. Things got even worse last week, when Musharraf fled a court in the capital Islamabad to avoid arrest after a judge rejected his bail and ordered his detention. The arrest order was connected to Musharraf’s decision in 2007 to dismiss senior judges, including the chief justice of the Supreme Court, apparently out of concern that they would challenge his re-election as president. Musharraf was eventually placed under house arrest at his heavily guarded compound on the outskirts of Islamabad until the next hearing on May 4. Associated Press writer Asif Shahzad contributed to this report.